Of course, you want to appreciate the original beauty of your property - after all, that’s the reason you first fell in love with the place. Yet you also want to make this house a home. 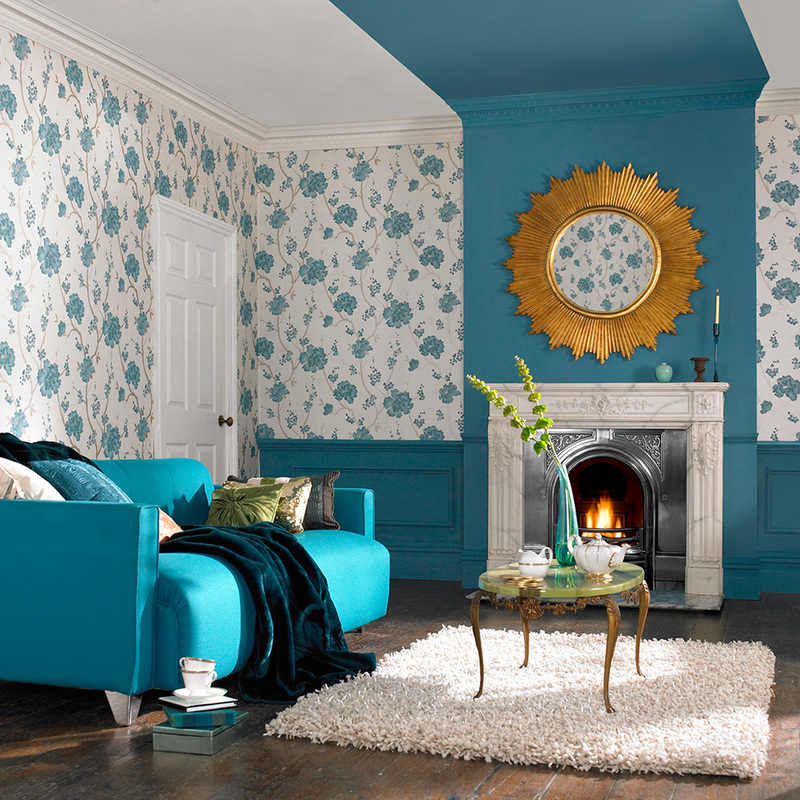 From paintable textured wallpaper to stylish damasks, we’re going to show you that it’s possible to bring your old home into 2015. Focus on what makes each room stand out. There should be one defining feature in each room of your home that you can use to inspire your project and draw attention to. This could be an old-fashioned chandelier, original fireplace or gorgeous dark wooden flooring. Let’s take a well-preserved fireplace for example. Such a prominent feature should be allowed to take centre stage of your room. Working with the original colour, choose contrasting shades to place alongside the fireplace that draw your guests’ eyes to your beautiful central feature. Although we’re highlighting the fireplace, try not to use colours that are too bright and modern. Colours such as duck egg blue and maroon evoke feelings of the past and retain that subtle vintage vibe. Working with what you’ve got ensures that you’re getting the most value from your purchase. Instead of making the costly decision to implement a new, more modern fireplace, you can simply perk up the surrounding room to complement your centrepiece. Forget what you know about textured wallpaper and dash those memories of your grandmother’s interior choices. Texture is in and it’s here to stay! Playing on vintage trends can help you to restore your old home to its former glory, whilst giving it a fresh, glamorous feel. It’s not just the texture you should take note of. Whilst flock and tile wallpaper stir up an element of historical interior influence, we now stock more modern variations; so it’s important to find one that captures the essence of your home and its natural vintage charm. Our Small Squares wallpaper features an unmistakable Victorian motif that is perfect for ceilings and walls. 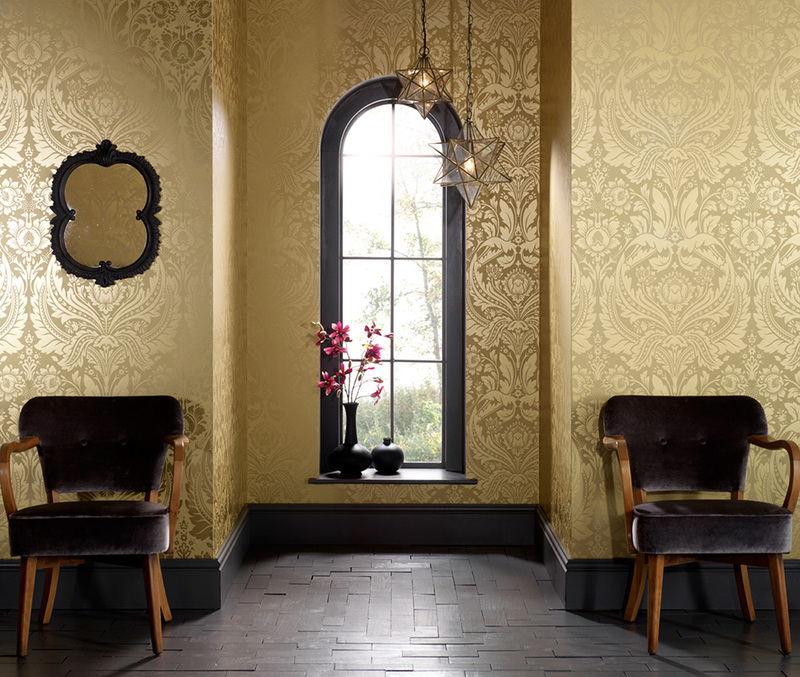 Whilst this wallpaper emulates interior trends from a bygone era, you can pair it with more modern furnishings to create a contrast between then and now. Also, by applying textured paintable wallpaper, you can always give your walls a fresh lick of paint if you decide to alter the overall theme of your room in order to make it feel more modern. We’ve got plenty of paintable wallpaper options for you to choose from here. Don’t be afraid to use striking designs throughout your home. 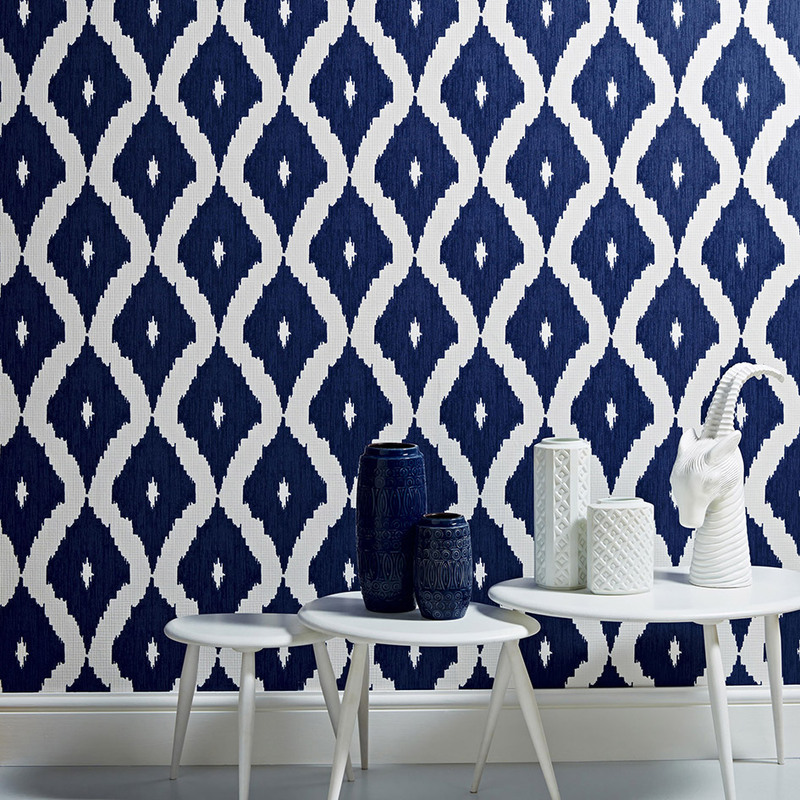 This stunning Kelly’s Ikat wallpaper features a gorgeous blue design. The pattern and shade blend modern and old styles, meaning it certainly won’t look out of place in either a new-build or an older house. It’s important to note that although you may want to modernise your interior, you should also make an effort to preserve those quirky, individual features that make your old house what it is. Ikat designs can be traced back to ancient times, so this particular wallpaper is perfect for those of you who want to create a contemporary look that makes a subtle reference to a bygone era. 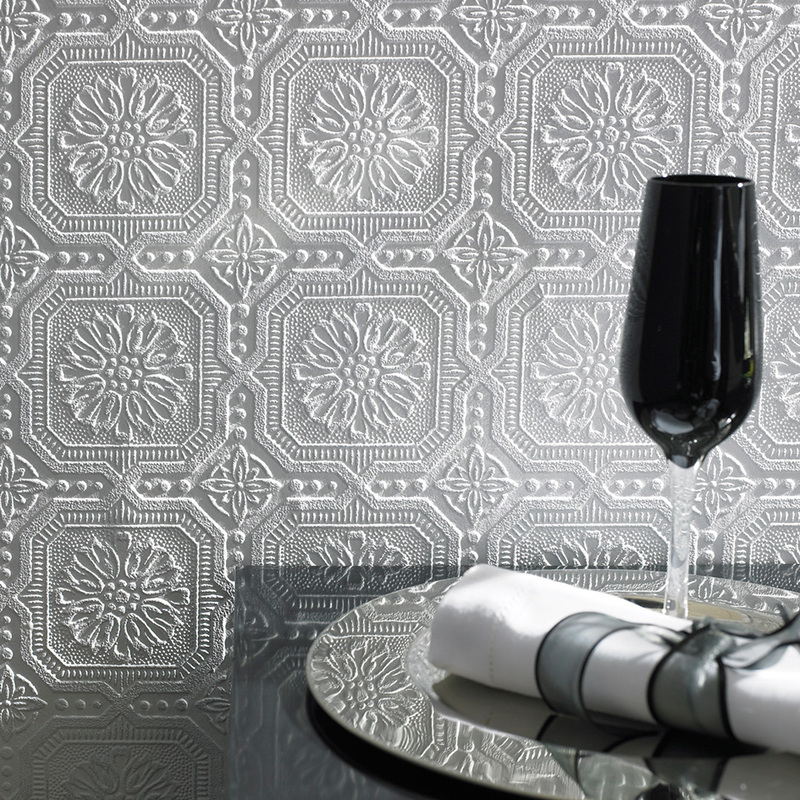 When you think of modern design, chances are your mind will immediately turn to damask wallpapers. These striking patterns - such as the Desire Gold/Mustard design pictured above - instantly bring your home into 2015, regardless of how old the property is. As you can see, the golden pattern perfectly complements the rustic flooring and traditional window frames. 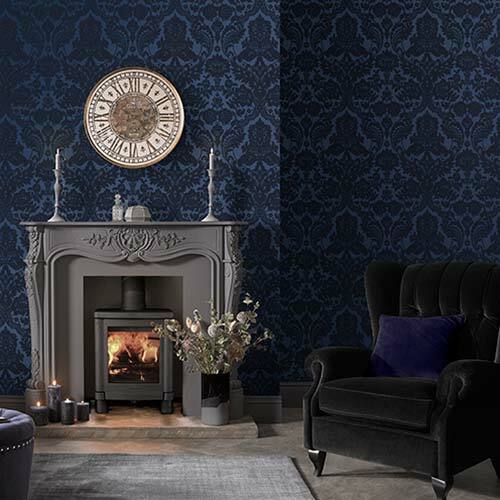 Regardless of the colour or pattern you choose, damask wallpaper is always a sure fire way to make a bold statement in your home. You can browse our full collection here. 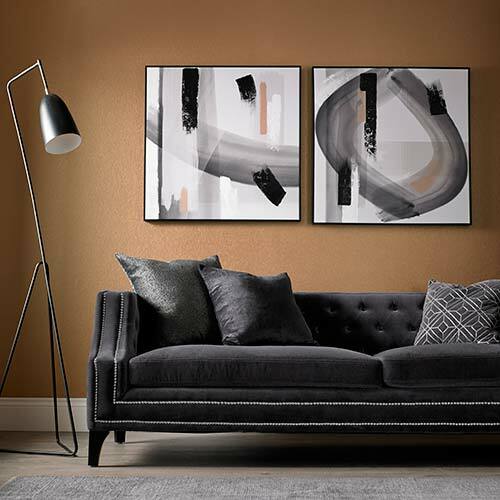 Just think; if you take these interior design tips on board, you could save huge sums of money by purchasing an older, cheaper home and making it look brand new yourself.